By the grace of God, Fr. 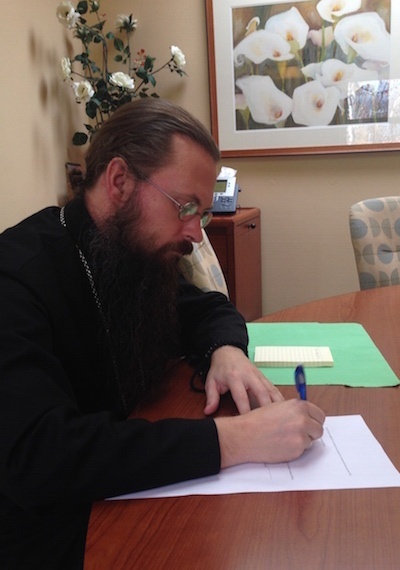 Andreas signed the closing on the property at 11.00 this morning, and our parish is now the grateful owner of almost 7 acres at 647 S. Valley View Rd, Ashland, OR. Glory be to God for hearing our supplications – and thanks be to the holy Archangel Gabriel, St. John Maximovich and St. Xenia of Petersburg for interceding on our behalf! Our parish website will be updated to host all the news regarding the development of the property and the construction of our temple in the (hopefully near) future. Let us all continue to labor, pray and give – to the glory of our Lord Jesus Christ, Whose glorious Nativity we soon will celebrate!